In 1897, Mr. J.M. Higgins helped his three sons start new businesses in Hopkinsville; one a pharmacist, one a liquor wholesaler, and the smartest son, an insurance agent. 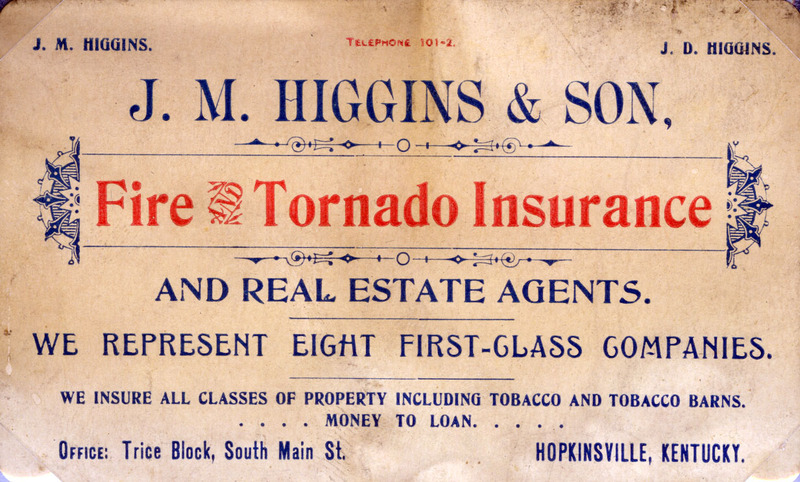 From 1897 until the late 1960’s, Mr. Archie Higgins operated an insurance agency at 700 South Main Street in Hopkinsville, KY. The agency was located on the second floor where the Fletcher building now stands. In 1959, a young insurance adjuster applied for a job. Despite being turned down several times, Billy Radford persisted and became an insurance agent. In 1969 Billy Radford and John Blane joined forces to purchase Higgins. Over the next decade, Higgins continued to experience significant growth. During this time, they moved from 800 South Virginia Street and purchased the Jesse V. Keith Agency. In that time, Sterling Crawford became an insurance agent and partner before his untimely death in 1978. The progression of the agency continued when John’s son, Malcolm Blane, joined the business in 1978, followed by Billy’s son, Wynn Radford, in 1979. 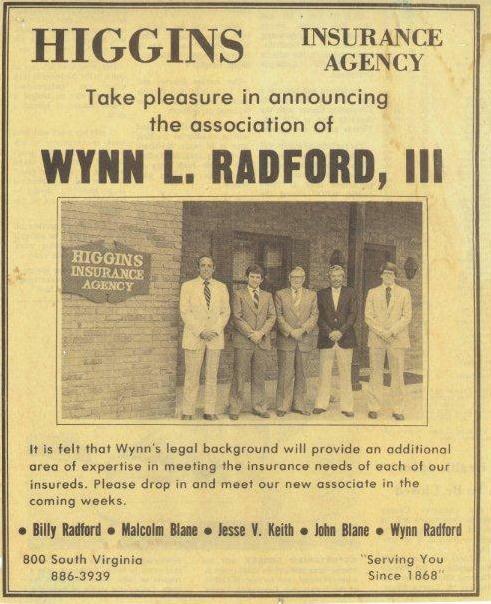 In 1982 Malcolm and Wynn purchased the agency from their fathers, beginning a new era for Higgins Insurance. Over the next 3 decades, Higgins transformed from a small, local provider of primarily personal lines insurance to an agency known as a regional leader with national reach. Higgins Purchases Munday, Lacy & Peden Insurance from Frank B. Lacy. Employee Benefits Division is established. Due to continued expansion, Higgins moves to a new corporate office at 1819 E. 9th Street. Higgins purchases the Wallace-Lawson Insurance Agency from Brook Lawson and Hal Johnson. Mack Major becomes a partner in the agency. Higgins purchases the Tom C. Jones Agency from Ted Stamper. Higgins expands its footprint into Tennessee, opening a new office at 120 Center Pointe Drive in Clarksville in 2009. Bradley Sandifer becomes a partner in the agency. Lee Conrad and Brad Bolinger become partners in the agency. Higgins turns 120! A milestone made possible by countless customers that have found value and security in our longstanding stability, expertise and market presence that has spanned generations. Higgins moves to its new corporate headquarters located at 4057 Lafayette Road. Another move driven by growth. As you can see, if the rich history of Higgins stands for anything it’s consistency. From the “good ol’ days” of our founding, to the fast pace world of today, our customers and friends have always been able to count on us in their time of need. We are still dedicated to protecting the things you love most. 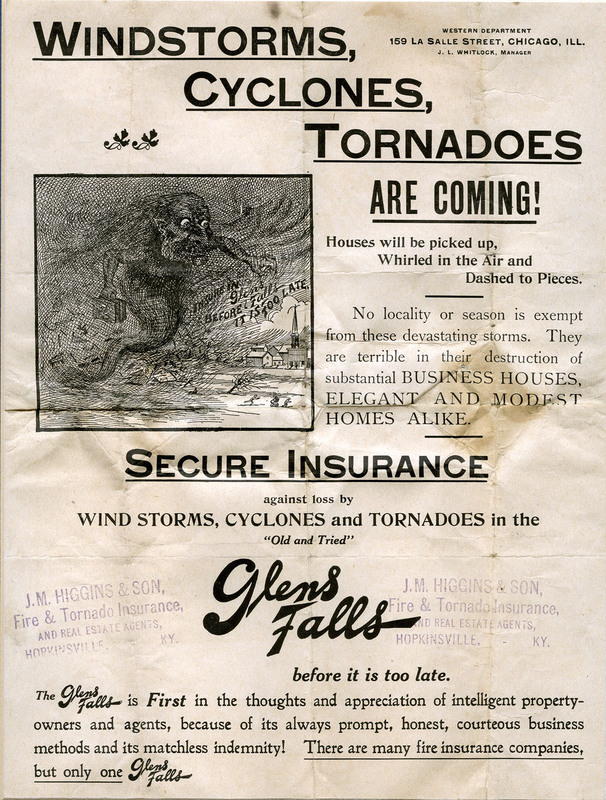 Since 1897, we have been protecting your family, your business and your future. The faces may have changed, but the saying still remains, “You can count on us!”.